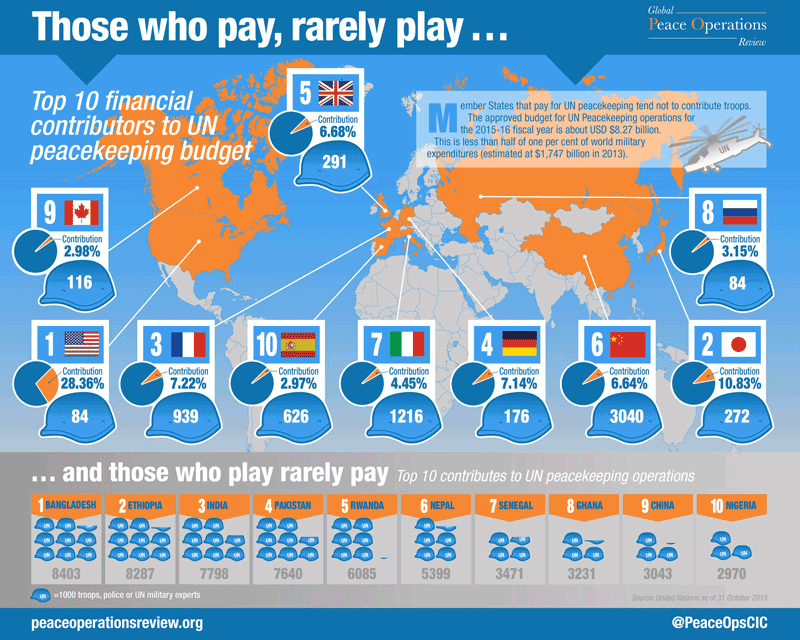 Member States that pay for UN peacekeeping tend not to contribute troops. 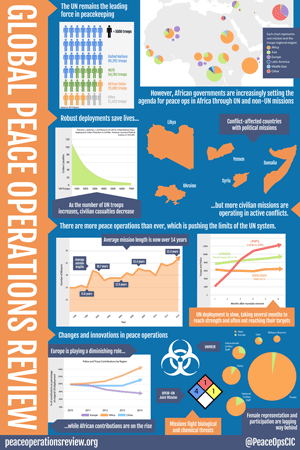 The approved budget for UN Peacekeeping operations for the 2015-16 fiscal year is about USD $8.27 billion. 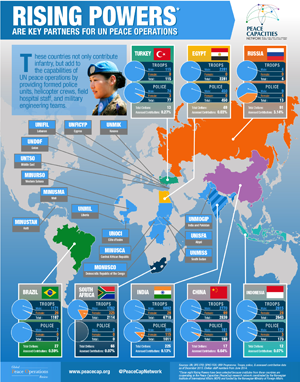 This is less than half of one per cent of world military expenditures (estimated at $1,747 billion in 2013).